Dressed up as Bowie for Halloween, watched SpongeBob jamming out with Patrick, wants to be just like rocker Mommy or can’t get enough of Daddy’s tunes – whatever the reason, you now have a little kid guitar player in your hands. And even rockstars write Santa letters from time to time. So what should you get a little kid guitar player? We’ve got your back. 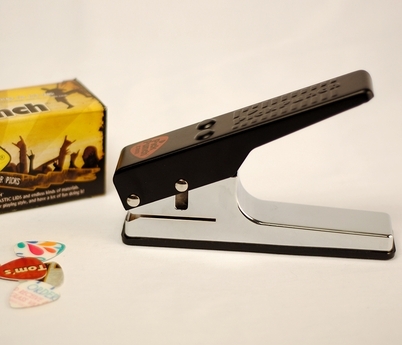 Below are what we consider the 7 best gifts for kid guitar players. Better start ‘em young! Let’s just get this one out of the way – of course we think the Loog Guitar is THE best gift for kid guitar players, especially if they’re still brimming with potential. Call us biased, but its narrow neck and three strings makes learning to play guitar easy peasy. Plus, continuing to learn is a breeze when you’re already playing ENTIRE songs on day one thanks to its Chord Flashcards and awesome iOS and Android App. So go ahead and start a rock band with your little future lead guitarist. Just think of the places you’ll tour, the songs you’ll perform and the fun you’ll have – right there in your living room! 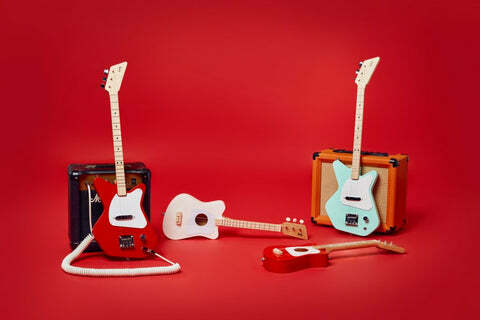 Get the Loog Guitar here. Now that we got that out the way, here’s something your kid guitar player will love: a sweet, personalized strap. Yes, we offer two awesome straps in our Loog Store but ANY guitar strap will work on a Loog – even if there’s Hello Kitty all over it. Our recommendation is to check out Original Fuzz, one of our favorites, or Etsy stores, which usually carry one-of-a-kind straps or might even make a custom one to reflect your little tyke’s own personal tastes. Grab the Indian Guitar Strap in Seoni from Original Fuzz here. 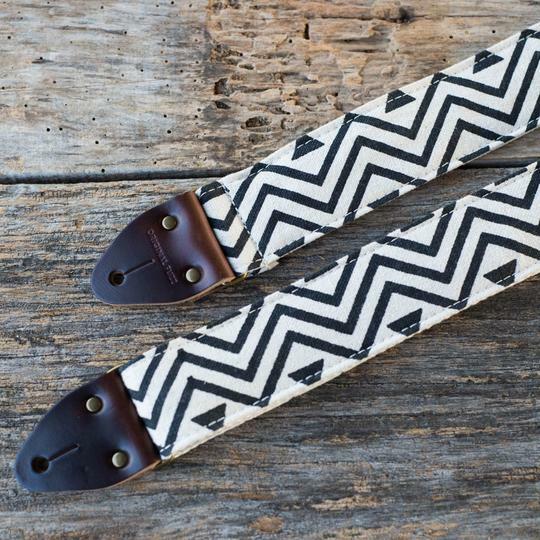 Check out what cute guitar straps are trending on Etsy here. 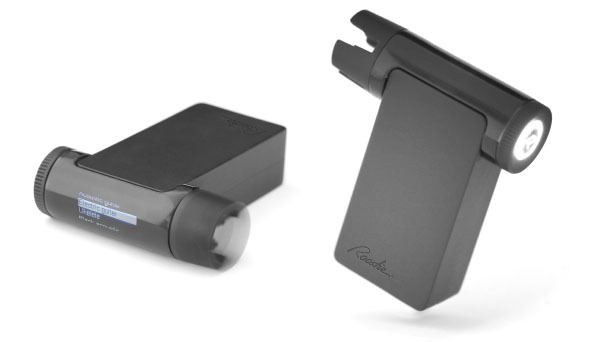 Grab a Roadier 2 Tuner right over here. Looking for the ultimate stocking filler? Guitar picks are inexpensive, abundant and make you feel like a bonafide rockstar before you even play the first chord. Kid guitar players will love getting a set of these for their guitar. Bonus points if you punch a hole in one of them and make them a kickass DIY necklace – if it was cool in the 90s, why not?! 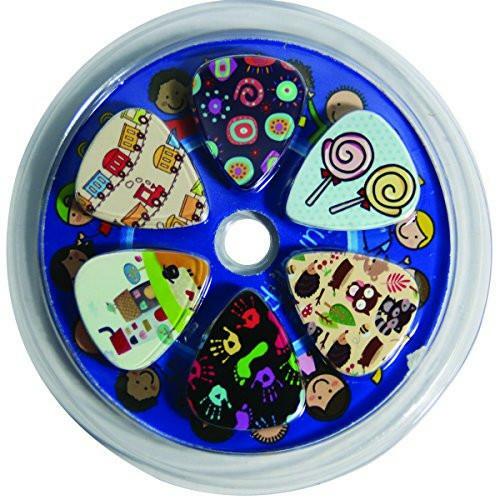 This guitar pick set from NewEights looks perfect. Your little guitar player’s loving their picks? Great – give them something that can be easily turned into a DIY project. Guitar pick punches work just like hole punches but manage to cut perfect pick-shaped sections of harder materials (think old credit cards and laminar plastic). 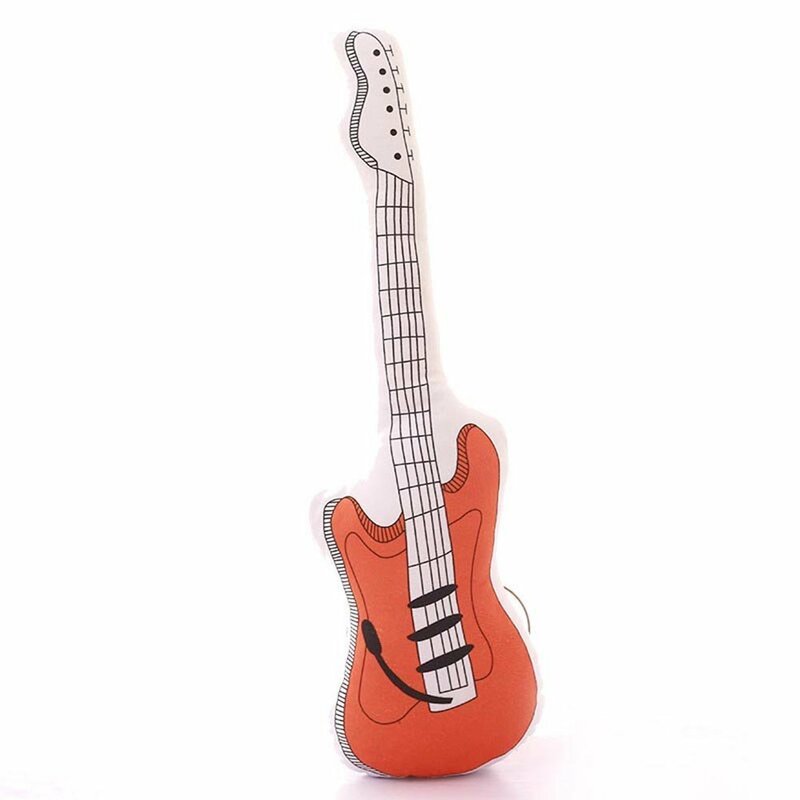 It’s the ideal gift for kid guitar players who are also con the creative side – and a perfect activity for when you’re both tired of rocking out! This guy claims to be the inventor of the Pick Punch, so here’s a link to his site. If you’re here, you’re into music and design – and chances are, the little rockstar in your life is following right into your footsteps. Gift them a poster they’ll love having up in their room and you’ll love for its educational value. 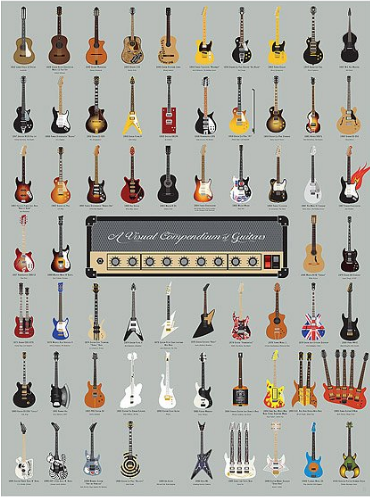 This one we found was designed by Ben Gibson and Patrick Mulligan and features 64 distinctive guitars from rock history, in infographic form. It’s perfect for all of you homeschoolers our there! Count the guitars for yourself right here. Or download a printable versión of our very own Your Kid’s Brain On Music infographic here. Any other additions you’d make for the kid guitar player in your life? Tell us in the comments!